Just a note of thanks for all your efforts to make our India trip both exciting and a real photo opportunity. We enjoyed the many Heritage Hotels, fell in love with Indian food , survived the polluted cities and met many friendly and hospitable Indian people. Our driver Daniel, went out of his way to make our trip comfortable and secure. 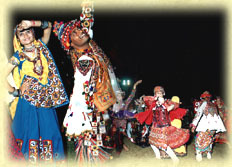 Gujarat is one of the most diverse states in India. Although this state is visited by only some of the travelers, but still holds an important place in India. Some of the famous businessmen, industrialists and leaders belong to this famous state like Dhiru Bhai Ambani, Sardar Vallabh Bhai Patel and Mahatma Gandhi, the father of nation. Gujarat derives its name from the word 'Gujaratta'. Gujaratta means the land of gurjars. The gurjars passed through the Punjab and settled in some parts of western India, which came to be known as Gujarat. The state of Gujarat is known all over the world for its holy temples, historic capitals with immense architectural wealth, wildlife sanctuaries, beaches and hill resorts. 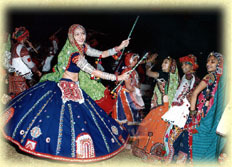 The fascinating handicrafts, mouth watering cuisine and colourful lifestyle of the people of Gujarat are also known all over the country. Some of the famous cities in Gujarat are Ahmedabad, Bhavnagar, Gandhinagar, Gondal, Junagadh, Lothal, Palitana, Saputara, Somnath, Surat and Vadodara (Baroda). Gujarat is also known for the famous Somnath temple, Dwarka temple and wildlife sanctuaries like Gir National Park and Velavadar National Park.